What harm can a handful of nasty or incompetent employees do? A lot more than you may think. Superstars get a lot of attention from bosses. 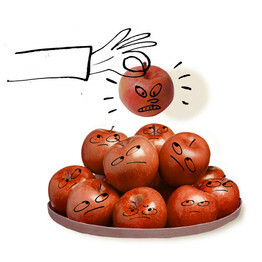 But bad apples deserve even more. A growing body of research suggests that having just a few nasty, lazy or incompetent characters around can ruin the performance of a team or an entire organization—no matter how stellar the other employees.